Homeowners who want to increase the appeal of their Charlotte home before listing it can perform kitchen upgrades that are sure to pique the interest of would-be buyers. Many people either have or are in the process of listing their home, so it makes sense to do as much as possible to attract the interest of prospective Charlotte home buyers. The end result will be a totally transformed kitchen that likely won’t require more than a can of paint, sandpaper, some cleaner and some knobs or handles…and, of course, some sandpaper. It is simply amazing how much of a difference an upgraded countertop can make to the overall look of a kitchen. Homeowners who understand that a new countertop will definitely transform their kitchen, will realize the incredible value in this one upgrade that can truly make a difference in sales price and longevity on the market. Buyers in our current market want move-in-ready and spectacular and granite countertops certainly seem to be the ‘thing’ that buyers demand right now. 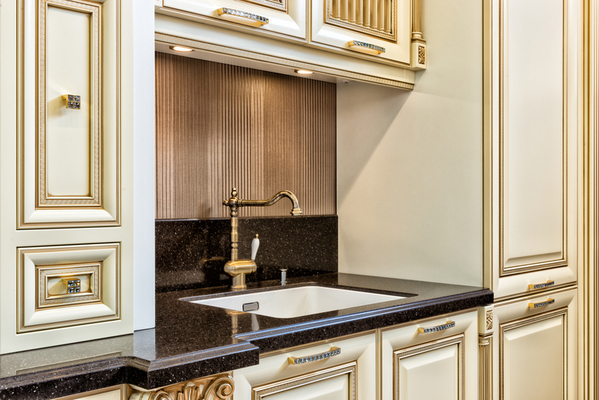 While a nice-looking kitchen backsplash can be a plus for would-be home buyers, the fact of the matter is that an ugly backsplash will most definitely turn off prospective Charlotte home buyers. There many different options in terms of styles, colors and concepts for backsplashes, so homeowners will be able to find the perfect option to make their backsplash look striking. Preparing to list a home and get acceptable Offers involves ensuring that your home will stack up nicely compared to other homes on the market in the area. Rest assured that doing some quick and relatively simple kitchen upgrades will help to attract prospective buyers. Tips for performing any of these upgrades can be found either at neighborhood big-box stores, online or contact us for our list of affordable contractors who do a wonderful job for our clients. For more information on the real estate market or to get more information on any related topics, call or text us today at (704) 491-3310 or email us at SavvyBroker@me.com for a no-obligation consultation.